With bravely literate electronica, a masterful return from a cult favourite and newcomers making a significant step up, Getintothis’ Patrick Clarke presents his regular round-up of the week’s very best new music. 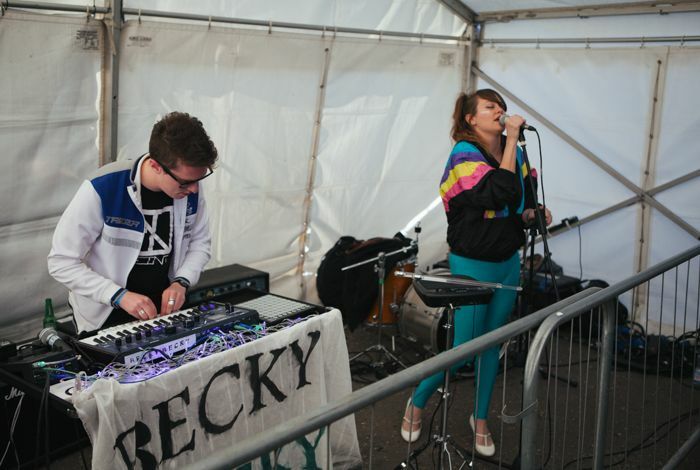 In an age where scantily-clad shock tactics have become orchestrated to the point of impotence, it takes a band like electro pairing Becky Becky, to remind us what true artistic bravery should look like. Having impressed us live at Sound City earlier this year, their new single House of the Black Madonna comes on a sweep of high influences; art deco and cubism in its video, the modernist novels of Jean Rhys in its lyrics, (which, as you of course already knew, deal with ‘infidelity, infant death and isolation’) to match the volatility of the bandmates’ charged relationship as ex-lovers. Like the best of literate-pop past (Bush, Cave et al. ), Becky Becky succeed in that they thrive on their pretensions, embrace theatricality but back it up with something musically superb, with particular thanks to the charms of vocalist Gemma Williams in whose gripping, dancing vocal they find both validation for their high-flown ideals and a transfixing musical centrepiece. Meanwhile, cult producer Luke Vibert has marked his return to Planet Mu Records with new track Bizarster, the title track from an upcoming LP to be released next month. A vibrant textural careen, the track chops and changes on a knife edge, protracted beats faltering into neurotic jolts and jumps, samples popping in no clear order and tones twisting from light surrealism to spaced out depth. It’s the path that Vibert strides through this abounding chaos that demonstrates his brilliance, and the commanding, engaging instrumental that emerges from the fray is to be savoured. London fivesome Post Louis, finally, mark a return of their own with new single 30m Pool, which sees them packing a tighter punch than last year’s Uptight EP. Braced by weaving lines of guitar that maze into winsome union, the group find a straightforward beauty in their complexities, Stephanie Davin‘s vocal commanding in its subtle self-possession.